Flatey is the largest island of the western island, a cluster of about forty large and small islands and islets located in Breiðafjörður on the northwestern part of Iceland. Flatey is about two kilometers long and one kilometer wide, of which most is flat land (hence its name, meaning “flat island” in Icelandic). The island has a seasonal habitation; most houses there are occupied only during summer. In winter, the island’s total population is five people. Posted on Friday, June 3rd, 2011 at 22:38. 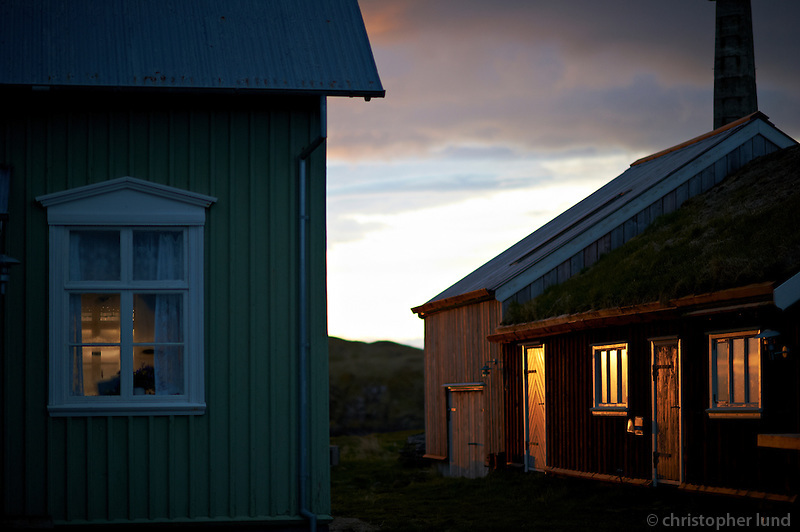 Filed under: Locations, West Iceland	RSS 2.0 feed.